If you have bought a used Android handset or you are stuck at Google Account ID/Password while resetting the phone and you forgot the password, then we have got your back. You can use any of the below-listed tools, which are some of the best FRP bypass tools for PC which can help you bypass FRP in Android Phones. What is an FRP Lock? FRP (Factory Reset Protection) is an additional data protection feature introduced by Google with Android 5.1 Lollipop and above. According to the FRP feature, in case, any unfortunate event such as if you lose or misplace the device or if any unauthorized person tries to reset it, the device will need the Google Account ID and password to get access to the device. So, this program is designed to minimize the chances of thefts and other frauds. But, this feature can be a curse in disguise when you forget the login password of Google Account ID and you have reset your Android device. Now you have got yourself stuck and can’t get fed in. Fortunately, the good thing is that if you accidentally reset your phone, you can still recover deleted data from Android after factory reset with professional Android Data Recovery. 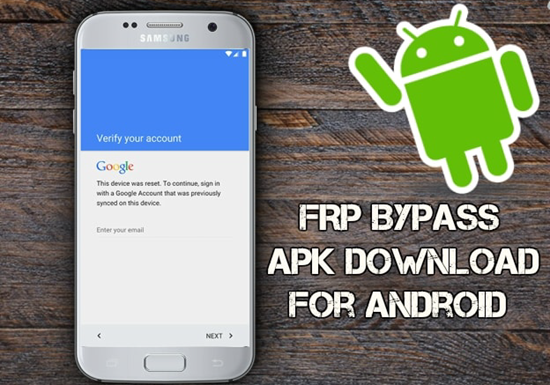 Well, considering these situations, we have picked the best FRP bypass tools which help you to bypass Google Account verification on Android and you can easily remove the FRP Lock. Samsung Reactivation/FRP unlocking service is an online service which helps you to remove the FRP Lock and it gets you back into your Android phone. It will ask you some details about your phone like models and IMEI of a phone, so simply put the details in the required fields to get the unique user ID and password within 24-72 hours. 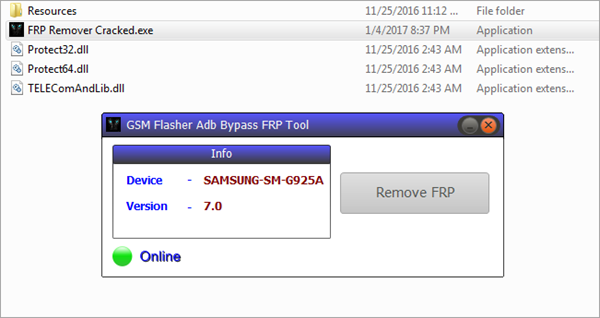 However, this is an exclusive Samsung FRP bypass tool which works only with Samsung smartphones. It provides online service – no confusing video tutorials and no risky software to download. No need to be a tech-savvy, everybody can use it. Issues will be solved within 24-72 hours. It supports Samsung phones only now. Pangu FRP Bypass tool is one of the best FRP lock removal tools in the market. Processing time is just about 10 minutes. This facility is only for the Authorized Google account owner. You just need to download this tool from their website; they make unlocking methods for almost all mobiles. Works smoothly with all major brand Android phones. supports Samsung phones, Micromax, Mi, Motorola devices, Lenovo, MTK. It requires using an OTG cable with a pen drive or a PC. FRP Bypass APK Download Samsung for Android is one of the most rated FRP removal tools with 4.1 stars. So it has gained trust from the users already. FRP Bypass helps to overcome the security feature of the device so that you can easily bypass Google Account verification process. A useful tool for Samsung Galaxy devices. You cannot access this tool directly through the local market or resources. 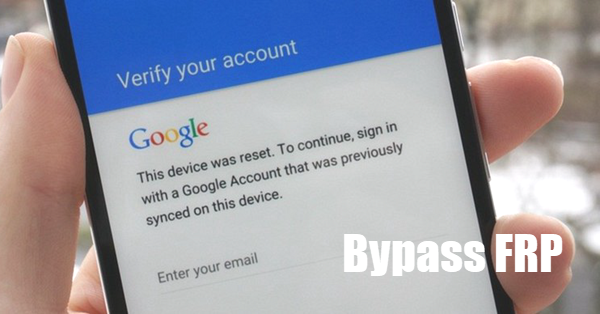 Like all the other FRP Bypass tools, Google Account Bypass and Flashing Tool is one of the useful and simple tools in your hands to Bypass your device. This tool is quite handy and easy to use. Works best for almost all the versions of Android Versions. Works best for devices with latest Android versions. The old version of SP Flash is also included in this tool. Not tested with Android versions 5.1.1 and 6.0.1. The GSM Flasher tool is a very helpful tool in process of bypassing FRP in Android devices, and this tool has been very successful with Samsung devices and some other brands too. But it requires ADB mode active. Once you enable ADB mode in your device, you can easily use this tool to remove your Google Account Verification popup. It can be used for all types of Android devices. GSM flasher software setup is easy to use. Pattern lock removal facility is also available. This file can be used for the reactivation of lock removers. It requires ADB mode active. D&G Unlocker Tool is one of the simple and useful FRP bypass tools available in the market. 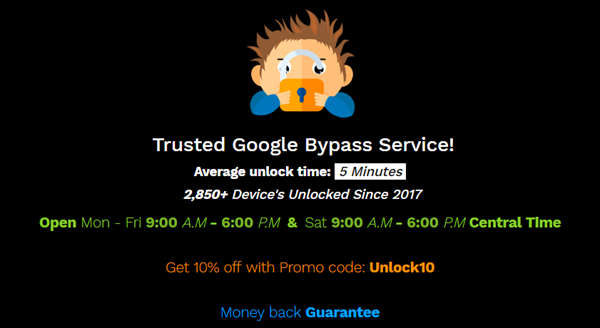 It helps to unlock and bypass Google account verification after hard reset in step by step and comprehensive way to get into your Android phones. Offers free setup for Windows OS. It works on every Windows PC (XP/7/8/10/Vista). It may not support LG devices. FRP Lock Google Verification Bypass Tool Software, as an FRP bypass tool for PC, can be used on Windows PC. It is handy and supports major Android brands like Samsung, Xiaomi, Motorola, OPPO, Vivo and other Android phones. Works for almost all Android devices and unblocks most Android phones with Reactivation Lock problem. Works for Android versions 5.1.1 and further releases. Need a Wi-Fi connection or a USB cable. The FRP Hijacker is a wonderful tool to bypass the Factory reset protection program of the Android smartphone. However, it is only compatible with Samsung smartphones. It has inbuilt tools to break the lock of Google account. FRP Hijacker enables the user to unlock the phone by removing the Samsung FRP into ADB mode. First of all, the user needs to enable the USB debugging of the device which is locked by Google. Enable the USB debugging means you need to enable the ADB mode or interface in your FRP locked Samsung device. Here you can find the simple steps to put your phone on ADB mode. Step 1. Enable TalkBack on your Samsung device. Step 2. Allow your device to get accessed. Now open the Calculator app. Then enter +30012012732+ as your special calculator code to enable USB. Step 3. Now, enter the code *#0808# and enable the USB settings. Hence, you have enables the USB debugging on your device. Thereafter, you can use the bypass tool when your device is in ADB mode. 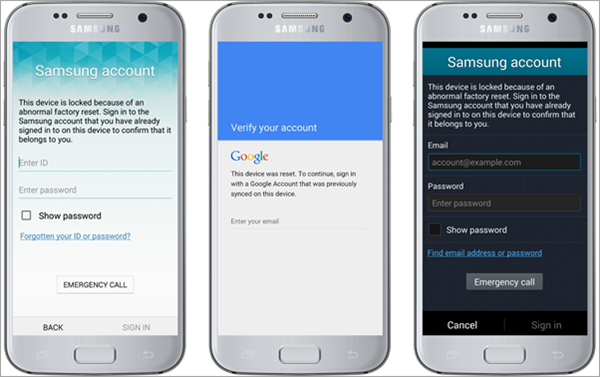 Now, follow the steps to use the Hijacker tool to remove the Google account on your Samsung device. Step 1. Connect your Samsung device to PC using a USB cable. Step 2. Open the Hijacker tool on your PC, and you will find Scan option. Click on it and then select ‘COMPORT’. Step 3. Go to ‘ADB Operation’ tab, and select ‘Remove FRP’ and meanwhile tap on ‘Allow USB Debugging’ on your smartphone. If you don’t allow your device, then you will find an error. Step 4. The PC will detect the device automatically after you click on ‘Remove FRP’ again. Step 5. Select ‘Factory Reset’ option to proceed the process. Now, you can change the Google account settings for fresh with the new setup. The Samsung FRP Helper v0.2 FRP removal tool is developed by CrackingGSM Team. It can be used to bypass the FRP verification process similar to other FRP removal tools. To use this Samsung FRP Removal tool, you also need to enable the USB debugging of the device as these tools can only be used to bypass the Google account in ADB mode. You can find the method to enable the ADB mode of the device above. Download this tool on your PC and just simply follow the similar steps like Hijacker tool to bypass FRP on your Android. This tool provides an interactive, clean and user-friendly interface to its users. You can find all the steps to bypass the Google account using its guide containing detailed information about it. It is stable and easy to use the tool. Comes with a proper guide containing the information steps by steps. It can only be used to unlock Samsung devices. You require a combination of firmware to launch this software. The above methods may be quite complex and the non-technical person may find it troublesome. So, if you are not tech-savvy and unable to unlock the FRP of your device using the above-mentioned tools then you must go for this alternative. Moreover, this method is applicable to any Android device. You can easily bypass your Google account on your phone of any model or version. Now, follow these simple steps to unlock your device online. Go to unlockjunky website. There are also other websites rendering this service to unlock the FRP. Now, you will find an option to select your device. Fill the details by selecting your device, unlock type and initiate the order. The website will provide you with their software which can unlock your device. Now, download and launch that software on your computer and get your device connected to it. You can find an option for a live chat on the website. Go for it and follow the commands of the instructor from another side. This involves a very simple process and hardly takes 10-15 minutes to unlock the device. However, you need to pay some amount to the website owner for this service. But the best part is that this method never fails to unlock the smartphone bypassing the FRP. Moreover, it removes the hassle and can be accessed anytime. It can be done from the home. You need not to walk to any office or shop. So these are some of the best and latest tools to remove or bypass Google Account and deal with FRP Lock in any Android phone for free. Use them now to bypass FRP on your Android device and help other people around you if they need such help. And just tell us which bypass tool you found most helpful. If you also know some best FRP bypass tools or got any feedback feel free to share with us through the comments. We value your opinions; it helps us to be more enthusiastic and give you other latest tricks and hacks.